As with the discussion of food mythology earlier in this issue, there are presumptively “Irish drinks” that were actually invented in America. And word to the wise: Ordering a few of these at an Irish pub in Dublin (or for that matter, New York, Boston, Chicago, etc.) possibly will get you the stink eye for ignorance, and at worst, a vigorous pummeling for being an insensitive arse. Case in point: The Irish Car Bomb, as it’s called in the United States, is a shot of Irish cream liqueur and a shot of Irish whiskey dropped into an almost-full pint of Guinness beer, which then froths up dramatically in an “explosion” that patrons chug in one go. The problem? Explosions and violence are no laughing matter in Ireland—and joking about car bombings is a cruel and insensitive reminder of a very painful and dangerous not-so-distant time for many people living there. Likewise, think twice before ordering a Black & Tan—half pale ale or lager in the bottom of a pint glass layered with stout poured on top. On the Emerald Isle, that combo is known as Half & Half, usually made with Harp lager or Bass ale on the bottom and Guinness on top. So, what makes Black & Tan so offensive? After all, it’s just describing the colors of beer, right? Well, it’s not so simple, pilgrim. In the 1920s, British paramilitary groups wearing uniforms of khaki trousers and black shirts (nicknamed “black & tans”) were sent to suppress the Irish independence movement, often by brutal means. In addition to violently chasing down suspected IRA members, they burned towns and killed civilians. The U2 song “Sunday Bloody Sunday” refers to the escalation of violence on all sides, when in retaliation for the IRA-sanctioned assassination of some British intelligence officers, 100 black & tan troops opened fire on players and fans at a Dublin soccer match; 13 died of gunshot wounds, two were trampled to death and another 60 were injured. I’ll respectfully modify my order as a Half & Half in remembrance. An even better option is to order the delicious Irish-themed drinks on following pages at your favorite bars around town. Or try stirring and shaking up some modern Irish whiskey history—sans controversy and potential fisticuffs—at home with the recipes provided. Learning how to say “to your health” in Gaelic also can win over your new and old Irish friends. 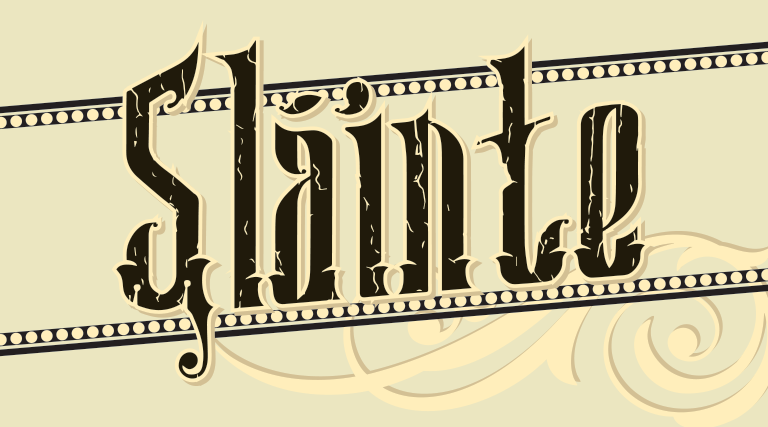 That’d be sláinte (pronounced SLOYNE-cheh or SLAWN-chah, depending on the dialect). Method: To a cocktail shaker with no ice add egg white, lime juice, grenadine and Irish whiskey. Dry shake to emulsify the egg whites. Add ice and shake again until the drink is very frothy and well chilled. Add about ¼ teaspoon of Scotch to a chilled coupe and swirl to coat the interior of the glass; discard excess. Double strain the cocktail into the glass—no garnish. Method: Add whiskey, syrup, amaro and bitters to a mug or Irish coffee glass. Gently stir to combine. Pour in coffee. 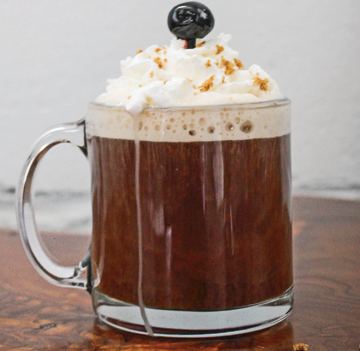 Top with whipped cream, a sprinkle of dark brown sugar and a Luxardo cherry. * Rich brown sugar syrup: Add two parts dark brown sugar to one part boiling water, stir well until all sugar is dissolved. Cool to room temperature. Store in a lidded glass jar, refrigerated, for up to one month. This cocktail’s creator, Ross Richardson, says his final formula came from a place of nostalgia: “It was the first drink I ever developed for Copper Common and it was kind of an homage to the last six years I had spent at The Republican,” one of SLC’s more dive-y (in the best possible way) Irish bars. The blend of Italian and French aperitifs, a bit of thick texture from the heavy simple syrup and little zip from the long pepper tincture make for a well-balanced and rich combination. 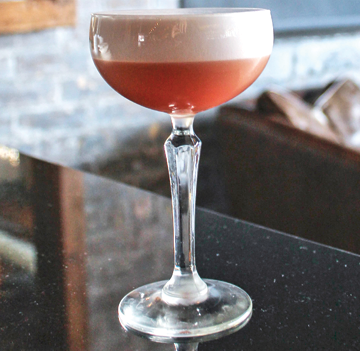 “It drinks like an Old Fashioned with a pleasant note of creamed coffee,” Richardson says. Method: Combine all ingredients in a mixing glass with ice. Stir until well chilled. 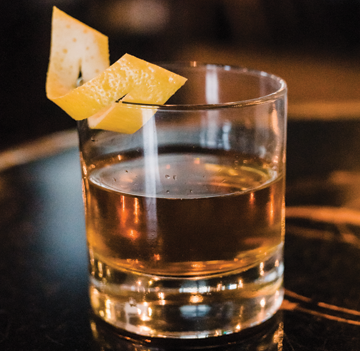 Strain into a chilled old fashioned glass and garnish with an orange swath. * Rich simple syrup: dissolve two parts sugar into one part boiling water. Simmer and stir until all sugar is dissolved. Cool to room temperature. May be refrigerated for up to two weeks in a lidded glass container. 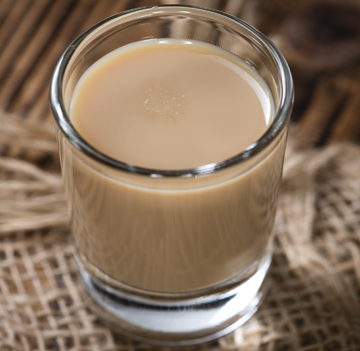 Unlike many Irish cream liqueurs sold stateside—which can be disconcertingly viscous, full of artificial preservatives and emulsifiers, and have a profile tending toward cloyingly sweet—homemade Irish cream strikes a balance of boozy beauty, clean flavors and fresh creamy texture. Just plan to either drink it fast or give any extra away as gifts. Made with fresh ingredients, this Irish cream will separate over time and must be kept refrigerated. Method: Combine all ingredients in a blender, whirl until well combined. Store in lidded glass jars or bottles and keep refrigerated. Shake well before using. Makes about 4 cups (2 pints).